Saturday, September 20th, in New York City. 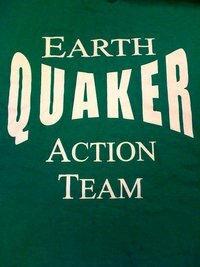 As UN Secretary-General Ban Ki-moon gathers government leaders to support “an ambitious global agreement to dramatically reduce global warming pollution,” the Earth Quaker Action Team is joining tens of thousands of people in New York City for the People’s Climate March. In addition, we’ll take action at PNC bank demanding it also take ambitious action on climate change. In May 2013, the UN investigated claims of human rights abuses in Appalachia connected to mountaintop removal coal mining leading to birth defects, poisoned water and economic paralysis. EQAT and allies will expand our footprint to New York City, to “find” evidence of climate disruption at PNC bank in a theatrical nonviolent direct action. We will present PNC with a copy of the letter we will send to the UN naming PNC bank as a climate disrupter. If you’re coming from out-of-town, please arrange to arrive in NYC no later than 9am on Saturday Sept 20th in time for a 10am briefing / action training. Location to be announced. Local Quaker Meetinghouses have offered housing for Saturday, 20th and Sunday, 21st. We are looking into options for people arriving on Friday, 19th. If you have particular needs, please let us know. The Meetinghouses are setting up a web page to to sign up for housing. We’ll get this information out to you as soon as we know. Please arrange your own transportation to and from New York. There are plenty of cheap options like Megabus. We recommend making your plans soon.